You’ve fallen in love with your practice. Now you’re ready to take it to the next level. Imagine three glorious weeks immersing yourself in yoga. Imagine waking up to your inner power and peace. Imagine saying yes to transformation and celebration. The only thing we’re waiting for is you. In partnership with Wild Earth Yoga Therapy and Istmo Retreat Center. 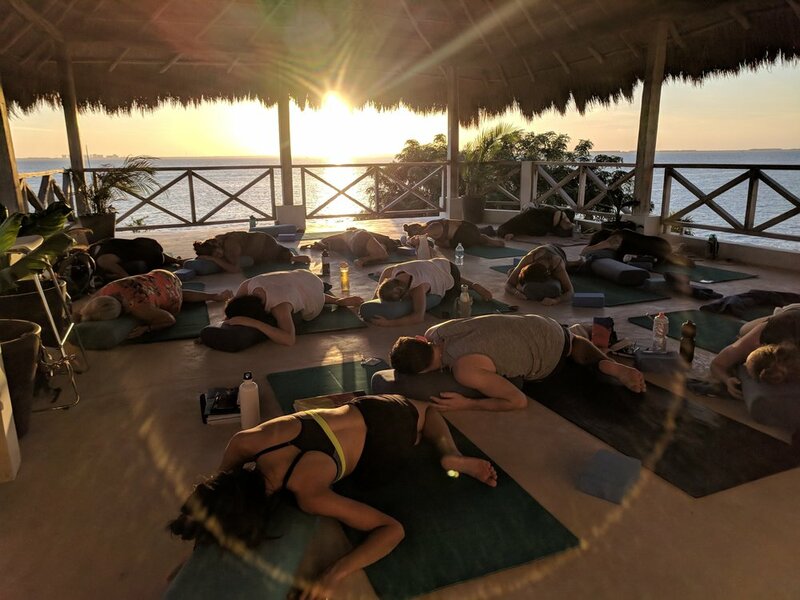 Join us for our yoga alliance certified 200-Hour training where you will spend three weeks learning, expanding, and growing in community with like-minded yogis. We emphasize safe and accurate anatomical cueing to support the longevity of your and your students' practices. 12-2 PM Free Time! Lunch at 12:00pm. Wednesdays are for your free time and rest. We will have one full day and one half day off per week for integration and down time. Payment plans available. These rates are based on shared accommodation with other classmates. If you’d like to request a private room, please reach out to us directly. Besides our two children and boxers, we share our property with other wildlife including, tamarin monkeys, iguanas, colorful toucans, motmots, crimson back tanagers, yellow-bellied flycatchers and blue tanagers, dwarf caiman, amongst others. We are also in close proximity to a private forest reserve that is home to deer, jaguarundis (small rainforest cat), coatis, sloths, agoutis, and other wildlife. You will be awakened in the morning by flocks of parakeets flying overhead and go to sleep to the sound of frogs singing from the creek. Honestly, we think it’s the best place on earth! Your training includes three delicious, consciously prepared meals each day. All meals are gourmet vegetarian and created from local, organic ingredients, many of which are from the on-site organic garden! Fresh, locally caught fish is served a few times a week. Our training’s menu has been lovingly crafted by owner and Chef Sean Davis, a graduate of a prominent cooking school in New Orleans. We offer a tropical fusion cuisine that blends influences from Latin America, Caribbean, India, Middle East, the Mediterranean, North Africa, the Far East, South East Asia, Cajun, Southern US, and the Pacific Rim Islands. YUM! We can easily accommodate our guests who are gluten-free, vegan or require substitutions because of food allergies. Contact Kaity for a 15 minute phone consult to learn more.